Shirley Holmes Downloads! | personal.amy-wong.com - A Blog by Amy Wong. In typical Canadian fashion, [insert name of movie] doesn’t have a dvd distributor yet. That was said 3 or 4 years ago… there still isn’t a DVD. So in typical Canadian fashion… nearly 10 years after The Adventures of Shirley Holmes aired its last episode, after so many other shows have been released on DVD – there still isn’t a proper DVD release for the series. What the fans have to go through? Well, some “savvy” people managed to digitally record the re-runs, and encode them to DVD format, but instead of sharing them, they decided to make some profit. Even if it’s small. Some other fans, get scammed… thinking they’re getting the real deal, to only find out that the episodes have been TV recorded – which I have to admit it’s just a bit silly to believe. – Some other fans just move on… some others end up on YouTube scavenging for clips and episodes… regardless of capture quality, and very appreciated. Well, waiting is over… of sorts~ the Shirley Holmes Central is working on digital downloads. It really should have been an elementary exercise. TV shows on demand, new episodes of current tv shows available for streaming immediately after, and sometimes days and weeks before broadcast. This is the media world we now live in, and one in which there is much to admire. So why has it taken so long to get episodes of Shirley Holmes online, in a streamable, and / or downloadable format ? There are a few reasons, not least the relative obscurity of repeat airings, and the lack of any official DVD releases, even now, nearly a decade after the show wrapped in 2000. And then of course there was season 4, a somewhat mythical 13 episodes for many fans, because worldwide screening was very limited, with only the home Canadian market, and a few select international markets, including Australia and South America, seeing those episodes broadcast. 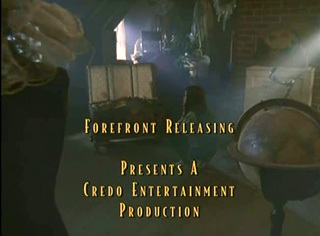 So while Forefront, Credo Entertainment (does it still exist? ), and Chorus Entertainment… and YTV? Lose some money – seriously… if they decided to make Free Region DVDs, they could sell these in South America, the UK and Germany already.